Way back in 2007, Apple came up with its first iPhone and since then sales of iPhone never stopped. Around 1 billion people from adolescents to adults are happy iPhone customers. Why not? Majority of users believe that iPhone has a user friendly interface in comparison to other phones in the world’s mobile phone market. So, if you haven’t purchased and planning to buy iPhone 8 for your loved ones, here’s good news. 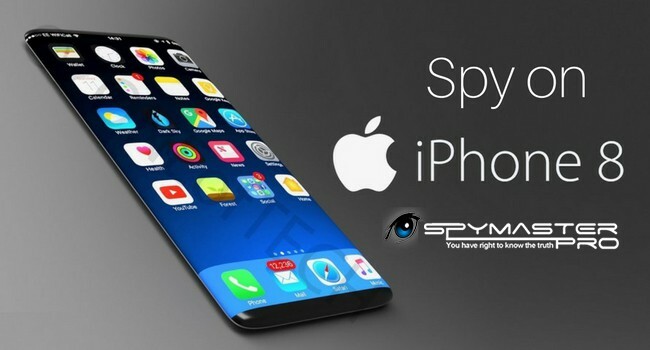 You can monitor their iPhone, using an app called as Spymaster Pro. The best part of this app is that no jailbreak is required to spy on iPhone 8. You only need login credentials of the target phone that will be remotely active on your phone to view the activities of the phone you’re monitoring. Also, the target phone won’t be able know about the software, as no icon will be displayed. No installation of Spymaster Pro is required nor does it needs a jailbreak. Instead, just get the iPhone credentials, submit the details on your account, and rest is done. Start monitoring the activities of the target phone and know what they are up to without touching the target phone. This is the best solution for people who are worried about their loved one’s safety. No need to peep inside other’s phone. Stay back and monitor their activity without their knowledge.